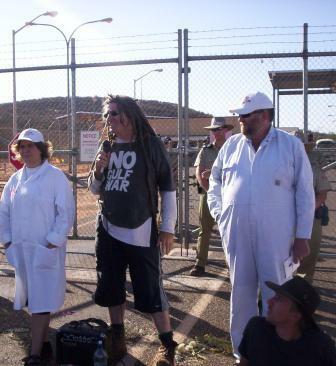 I first met Sam Land when he came to Alice Springs in October 2006, where he joined in one part of the trial process of the Pine Gap 4. Here’s a story about the trial from our legal advisor – solicitor and Barrister Russell goldflam. 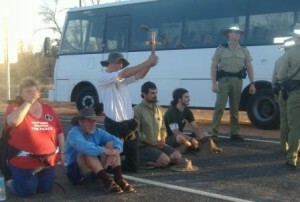 The “Citizens’ Inspection” of Pine Gap was carried out in December 2005. It contained elements of property damage that stopped short of “ploughshares” actions. The Pine Gap 4 cut through fences to gain entry, allegations were made about the “illegal” activities supported by Pine Gap, and we were pleased to disrupt the normal activities of the base by sending it into “lock=down” – but the focus of the action was disclosure/information for public discourse, not disabling weapons systems. 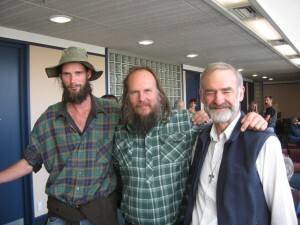 Giving evidence at the Waihopai ploughshares trial in Wellington in March 2010, Sam described the 2006 Pine Gap experience as a key element in forming his own determination to carry out a ploughshares action (which physically disables a weapons system in active use, in witness to the prophecy of Isaiah). He also met Ciaron O’reilly there, a powerful advocate of ploughshares actions. 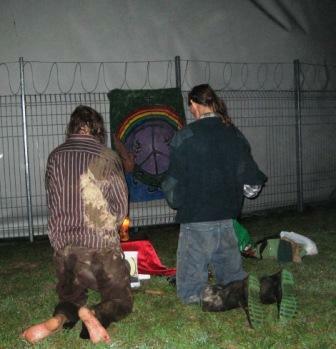 Sam’s decision to move further into physically disabling weapons systems led him to deflating the dome at Waihopai Spy Base around ANZAC Day 2008, with his friends and colleagues Adi Leason and Peter Murnane. It is also the reason that Sam, Adi, and Peter were acquitted of all charges, whereas the Pine Gap 4 were convicted of wilful damage charges under the Commonwealth Crimes Act. (The Pine Gap 4 had some convictions quashed on appeal and replaced by acquittals, but they were under a different piece of legislation which has been subsequently amended by Parliament). Some of the legal issues in the Waihopai and Pine Gap trials were the same. 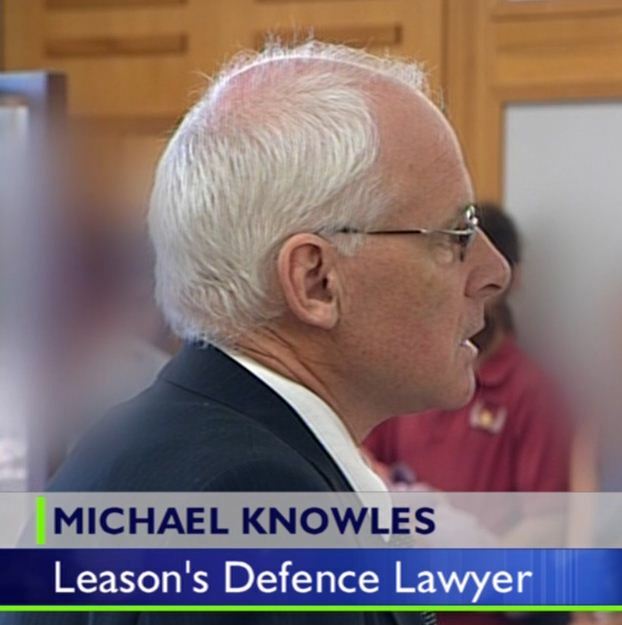 In each case the defence admitted all facts relevant to behaviour which damaged property. Events were not disputed. In each case the defence attempted to raise claims of “Excuse” OR “Justification” to avoid culpability for the behaviour which would otherwise clearly be criminal. These defences say that the property damage in question was committed in order to preserve a life or property from loss or damage that was real and foreseeable. (Also referred to as the “Greater Good” defence). The defence must prove a direct link between the damage being prosecuted, and the threat to life, limb and property being averted. 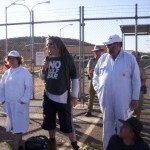 Judge thomas in Alice Springs, and Judge Harrop in Wellington both ruled that the peace activists concerned were unable to establish that Pine Gap or Waihopai were directly involved in acts of aggressive war, rendition, torture, or other crimes against humanity. In each case the judges referred to the secrecy involved in the bases’ operations, and how the secrecy made establishing the actions of the base very unlikely, let alone the consequences of the actions. 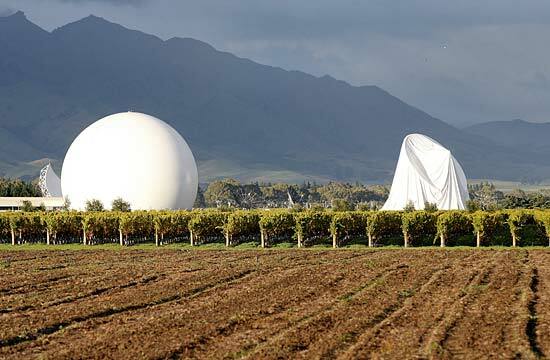 When considering the burden of evidence required for legal purposes, the current public knowledge was too general and speculative to substantiate the claim that Pine Gap and Waihopai are active links in a chain of death and destruction. The Seeds of Peace Ploughshares (England), and the Pit-stop Ploughshares (Ireland) (both acquitted by juries allowed to consider the necessity defence) both addressed military aircraft heading for a theatre of active military operations, and each proved the link between those particular aircraft and the dire consequences for life and limb of civilians in East Timor and Iraq. 1/ The damage done by activists has to be sufficient, if successful, to put the piece of equipment out of action, or majorly impair it. 2/ The piece of equipment addressed must be demonstrated to play a direct material role in the killing and maiming that activists seek to avert. By moving into the terrain of physical damage to weapons systems, the Waihopai ploughshares effectively satisfied the first of these. They failed on the second because of the secret nature of military ELINT (electronic intelligence) collection and use. By choosing targets such as airplanes, ships, tanks etc (less secret, more direct weapons systems/components), and by majorly disabling said piece of equipment, it may yet be possible to get a necessity defence in front of an Australian or New Zealand jury. At a high risk of repression. In the Waihopai case the judge ruled out “necessity” and “defence of another”, but left a 3rd defence alive “claim of right”. Claim of Right is all about belief and intent. If a person reasonably and genuinely believes they are lawfully entitled to damage property, then they are not criminally liable for doing so. The belief can be mistaken, but it must be genuinely and reasonably held. The Waihopai ploughshares defendents believed they had available a defence based on necessity and the greater good – a defence which had been successful in England and Ireland before they carried out their action. Sam’s contact with Ciaron o’Reilly was a key part of their evidence. They had also amassed a great deal of material about the alleged functions of the base, and the criminal behaviour it supports. Even though the judge ruled that they were wrong in law, and the necessity defences were not available, it was still possible their (mistaken) belief was genuine. During the defendents’ evidence the prosecutor had tried to undermine and negate Sam, Adi and Peter’s evidence on this: “It was really about publicity, wasn’t it?”, “you never really believed you’d save a life”. All three defendents were adamant they believed in the rightness of disarmament action. The prosecutor failed to rule this defence out as a possibility. Thus the state of belief of the Waihopai defendents became a matter of fact for the jury to determine. The only matter of fact they were asked to decide. Once the judge rules that the defence can be considered by the jury, the standard of proof is “beyond reasonable doubt”. If the jury thinks they might have believed in the necessity defence, the prosecution has failed to make its case. 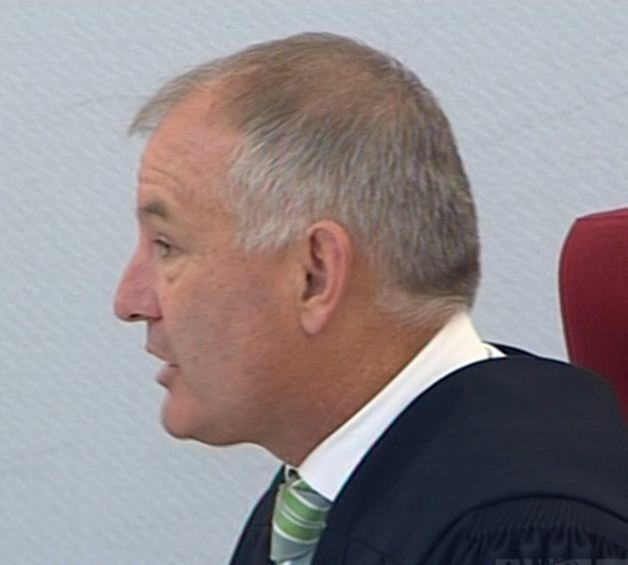 Judge Harrop told each member of the jury to answer the question “Am I sure that the accused DID NOT genuinely believe that his actions on 30 April 2008 were lawful”. If you answer YES to that question the accused is guilty. If you answer NO to that question the accused is not guilty. 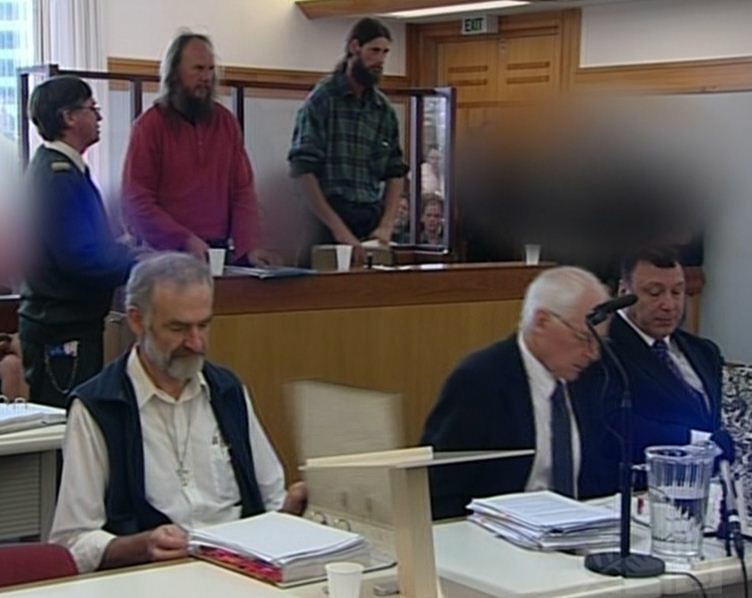 It took only two hours for 11 jurors to decide unanimously about nine separate charges that Sam, Adi and Peter were NOT GUILTY of any criminal act when they deflated a dome at Waihopai Spy Base in april 2008. Thank God you take action to hold our military and the US’ military accountable. I’ll pray for you. Previous Previous post: Putting an End to War.